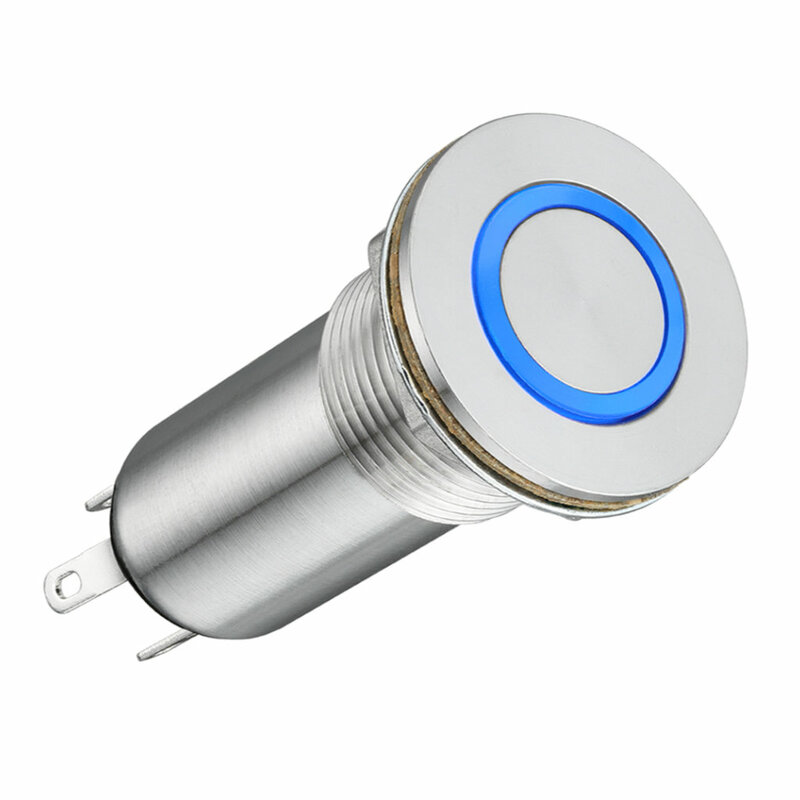 The KPB22 Series of illuminated vandal resistant pushbuttons from Dailywell are single or double pole switches with double throw operation and momentary or locking action. Designed with a lightweight thermoplastic body and electrically rated to 3A at 250VAC. The KPB22 series has an IP rating of IP65 and a mechanical life of 1 million cycles with momentary action or 500,000 cycles with latching action. 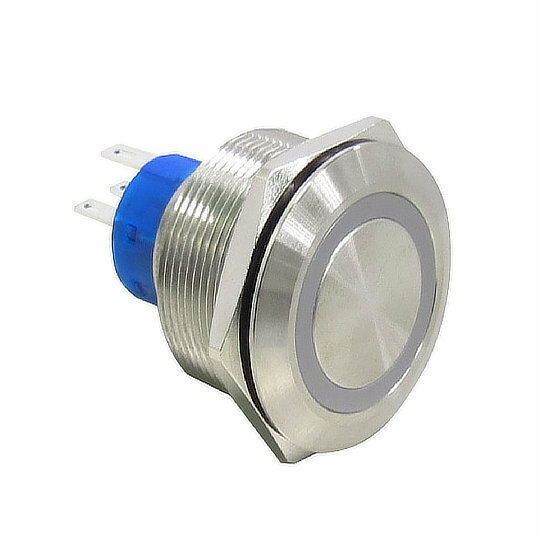 The LP3-V series of illuminated vandal resistant pushbuttons from OTTO are single pole switches with single or double throw operation and momentary action. Available for cut outs of 16mm and 19.1mm in aluminium casing for security or stainless steel for vandal resistant and illuminated with an LED diode in a choice of 5 colours. 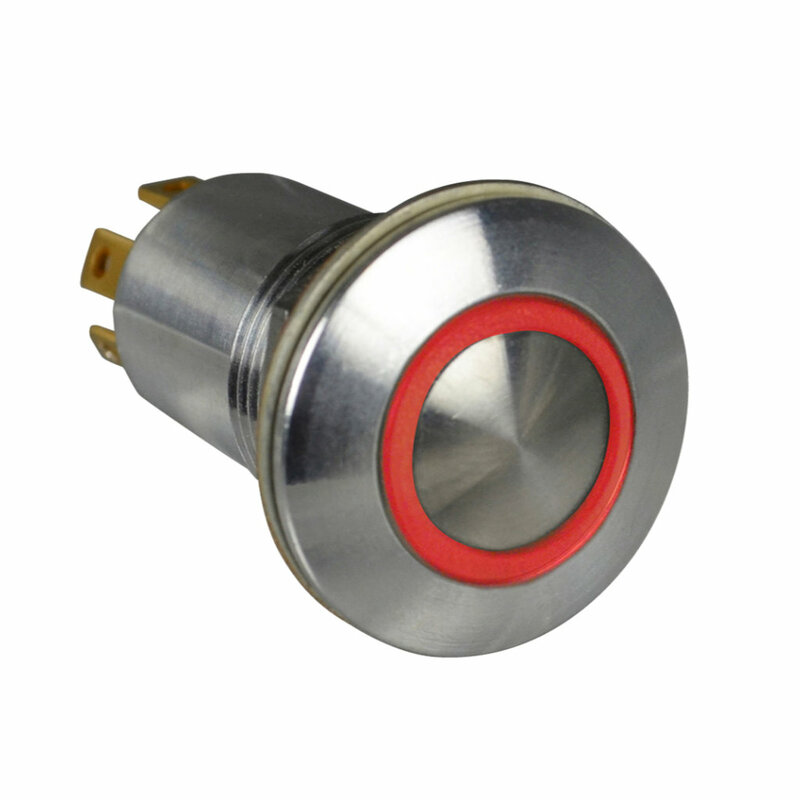 The LP3S-V series of illuminated vandal resistant pushbuttons from OTTO are single pole switches with single or double throw operation and momentary action. Electrically Rated to 5A (Resistive) at 28VDC/115VAC, a mechanical life of 250,000 cycles and an IP rating up to IP69K. The LP3S-V series is illuminated with an LED diode with a choice of 6 colours. 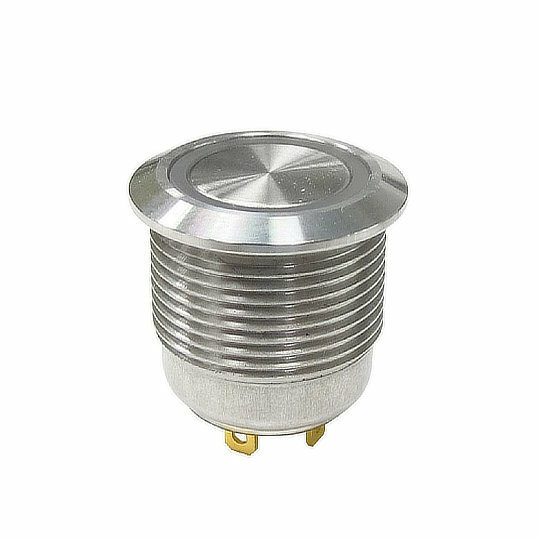 The LP5-V series of illuminated vandal resistant pushbuttons from OTTO are single pole switches with single or double throw operation and alternate action. Electrically Rated to 5A (Resistive) at 28VDC/115VAC, a mechanical life of 200,000 cycles and an IP rating up to IP68S. The LP5-V series is illuminated with an LED diode in a choice of 5 colours. 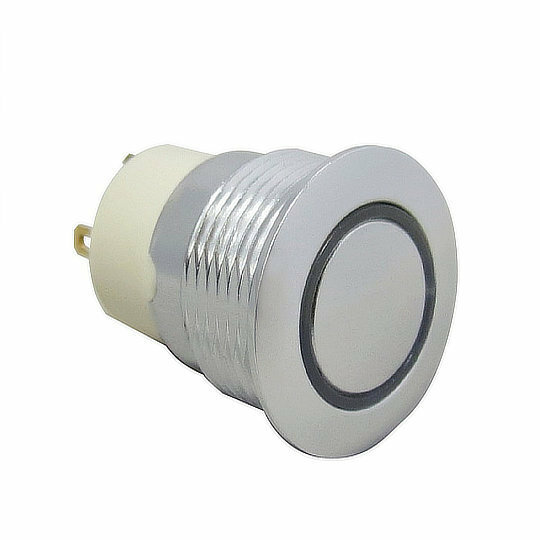 The MPB16L Series of illuminated vandal resistant pushbuttons from Dailywell are single pole switches with single throw operation and latching action. Electrically rated to 2A at 36VDC, an IP rating of IP67 and a mechanical life of 500,000 cycles. 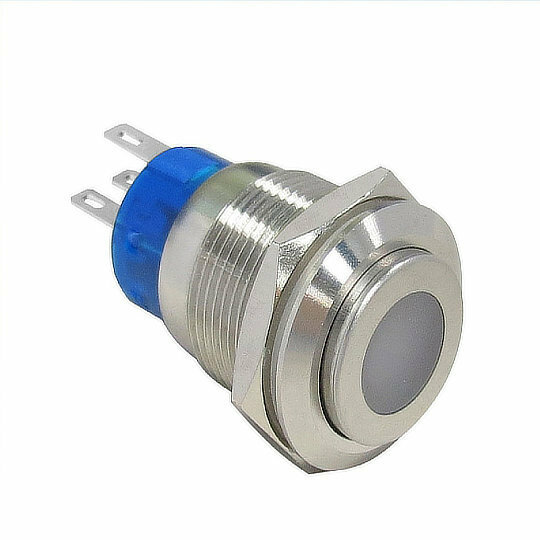 The MPB19 Series of illuminated vandal resistant pushbuttons from Dailywell are single or double pole switches with double throw operation and momentary or latching action. Electrically rated to 3A at 250VAC, an IP rating of IP67 and a mechanical life of 1 million cycles with momentary action or 500,000 cycles with latching action. 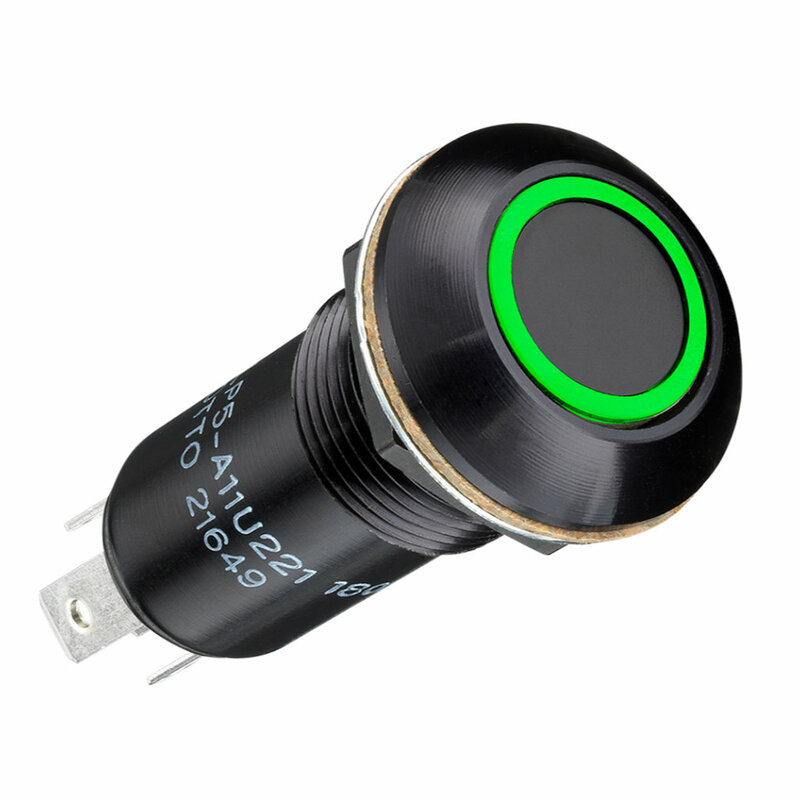 The MPB22 Series of illuminated vandal resistant pushbuttons from Dailywell are single or double pole switches with double throw operation and momentary or latching action. Electrically rated to 3A at 250VAC, an IP rating of IP67 and a mechanical life of 1 million cycles with momentary action or 500,000 cycles with latching action. 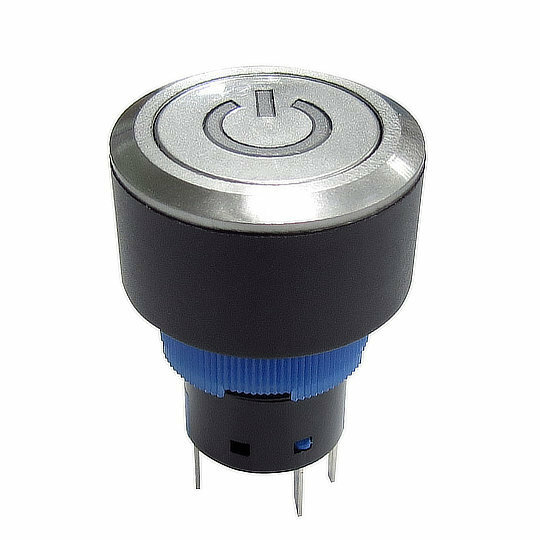 The MPB25 Series of illuminated vandal resistant pushbuttons from Dailywell are single or double pole switches with double throw operation and momentary or latching action. Electrically rated to 3A at 250VAC, an IP rating of IP67 and a mechanical life of 1 million cycles with momentary action or 500,000 cycles with latching action. 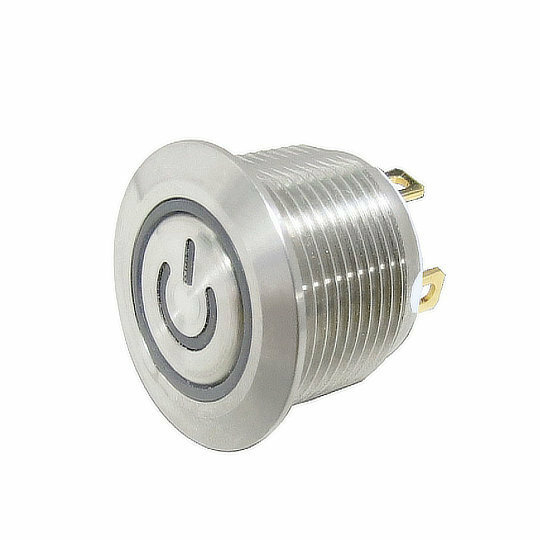 The MPS19 Series of illuminated vandal resistant pushbuttons from Dailywell are single pole switches with single throw operation and momentary action. Electrically rated to 2A at 36VDC, an IP rating of IP67, impact rating of IK10 and a mechanical life of 1 million cycles.